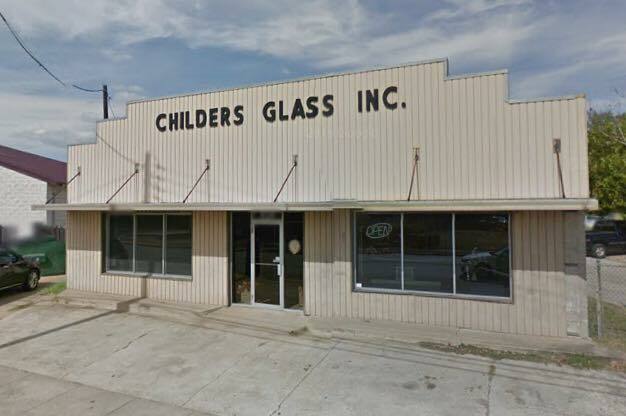 Childers Glass, Inc. is a family owned and operated glass company. It was founded by Kent Childers in 1972 and is located at 124 West Denman Avenue in downtown Lufkin; a small East Texas town in Angelina County. For over forty years we have been servicing Lufkin, Nacogdoches, Crockett, Livingston and all surrounding areas of East Texas with all types of glass work. We specialize in commercial, residential, and even automotive glass installation. We can take care of just about anything when it comes to glass. We can fix a broken, cracked, or fogged up window, install replacement windows, cut mirror to any size, upgrade the look of your bathroom with a Frameless / framed / semi-frameless shower door enclosure, build custom screens to fit any window, repair a rock chip, replace auto glass, cut Lexan and plexiglass to fit your needs, as well as, plate glass, install door closures, and store fronts. Whatever your needs are for glass work, rest a sure that we can handle it and will do it at a fare price! Striving to deliver the trusted quality glass work at an affordable price has been our goal from the very beginning. Give us a call today for a FREE estimate! There is no job too big or small.